We owe a big thanks to Mr. Tom Taylor who put together these pictures of the Green Line Route #11 as it ran between Cincinnati's Dixie Terminal and Fort Thomas, through Newport. There are 34 pictures on the Outbound group (Cincinnati to Fort Thomas), and 32 shots in the Inbound, grouped by the order in which the street car passed. Take Tom 's Outbound Ride by clicking here. Different views are on his Inbound Ride here. There have been various public transportation entities in Northern Kentucky since the 1860's. 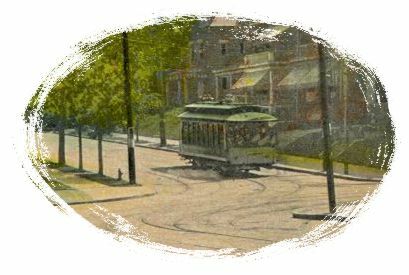 Street Cars ran on the Green Line until July 2, 1950. To read the complete story, Northern Kentucky Views highly recommends Terry W. Lehmann and Earl W. Clark Jr.'s The Green Line: The Cincinnati, Newport & Covington Railway. You can buy it here. It's chock full of great Northern Kentucky pictures.